When I was twelve-years-old I took part in a Joe Cornell dance class with just about every other Jewish teen my age in Metro Detroit to prepare for the bar and bat mitzvah circuit. When my mother was twelve she also learned to dance from Joe Cornell. It's something of a Detroit tradition. While Joe Cornell has been retired for many years, the company is still around (after more than fifty years) and has actually grown immeasurably over the past decade under the leadership of owners Steve Jasgur and his sister Becca Jasgur Schlussel. 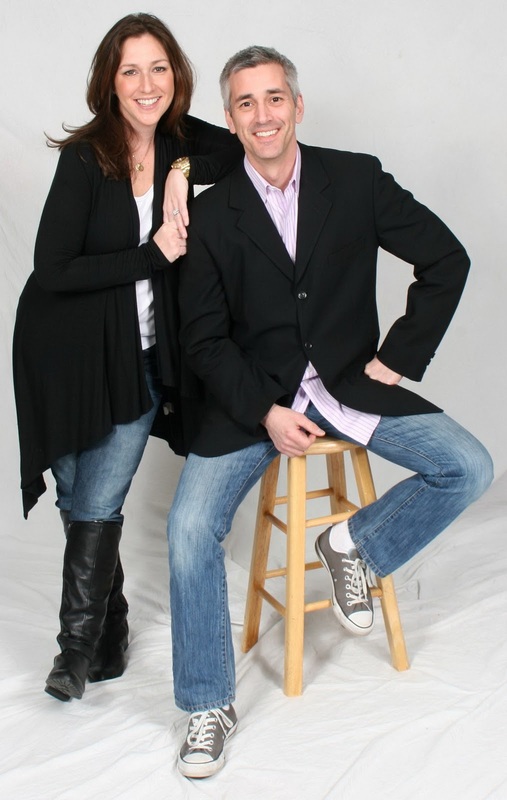 In addition to providing DJ services and dancers for bar and bat mitzvah parties, Joe Cornell still runs its "Learn to Dance" dance studio for the pre-bar and bat mitzvah crowd. My own children are still too young to even be thinking about attending bar and bat mitzvahs, but I read with interest an article about a new program that Joe Cornell is running at local Hebrew Schools and day schools. Patch.com reported on Joe Cornell’s Mitzvah Circuit 101 gatherings, which teach b’nai mitzvah etiquette to teens. Attending bar and bat mitzvah services and parties requires a lot of social cues that many twelve- and thirteen-year-olds don't yet possess or at least haven't yet had to draw upon. I remember my parents teaching me the etiquette for responding to a bar or bat mitzvah invitation before attending my first one, but there are still many other aspects of good manners that these children (and they are still children) must learn. When I was a twenty-year-old youth group adviser I was asked to be on a panel that discussed teens' behavior at bar and bat mitzvahs in front of an audience of parents. I remember thinking how ironic that was since it was only seven years earlier that I was one of the misbehaving teens at these parties. 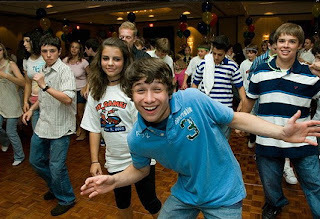 In recent years, however, I have certainly noticed that teens are better behaved at both b'nai mitzvah services and the parties that follow. I think it's imperative that these middle schoolers are learning about the etiquette required at bar and bat mitzvahs as it will improve the experience for everyone, and I'm glad that Joe Cornell Entertainment has taken the lead on this. The Jasgur's do a great job and provide a great service to our community. My 5th grade daughter recently attended a Joe Cornell introductory event at the JCC. It was a very well run program but raises a question of how do adults handle other children that attend events such as dances and birthday parties that spend the entire time texting their friends, often friends that are with them at the event. My daughter came home from the Joe Cornell event and mentioned how rediculous some of the kids looked huddled in a circle texting all night. I have also talked to many parents that have said they have asked children attending their child's birthday party to put their phones away only to find the kid in the bathroom with other kids texting. It looks like teachers and others like the Jasgur's are needed to educate children on cell phone behavior at events like Bar Mitvzah's because it is all to obvious many parents are not. What a great idea to provide not only dance instruction but instruction on how to behave at a Bar or Bat Mitzvah party. I remember being an awkward 11 1/2 year old and taking Joe Cornell Dance class with instructor Steve Jasgur (the only 'boy' taller than me in the whole class). We did learn the cha-cha and other dances, but there was very little discussion on what is and is not appropriate behavior for attending and elaborate "adult" social function. Fantastic addition to the agenda. Congratulations. I have only been invited to one bar and one bat mitzvah in my lifetime, but through the normal course of synagogue attendance, seen many. The kids definitely have been fairly well behaved, but at the risk of sounding like an old fuddy-duddy, they should add a class in "how to dress for the synagogue portion of the bnai mitzvah." Honestly, I don't know how parents let their young teens out of the house dressed the way many of them have been. Star Trax also teaches etiquette/behavior in their First Trax class. It would be great if your blog featured more than one vendor as it appears to be an ad for Joe Cornell. Star Trax also talks about dress code...and what's appropriate at different types of parties. As a parent of 2 teen girls, you can only control so much. If they choose to hike up their skirt once they've left the house, it is out of our hands. We can only hope that the values we teach will give them a good foundation. We are talking about teenagers, for heaven's sake. By the way, to the comment about day school kids being the worst in synagogue -- that is a gross generalization. Again, kids are kids. The "day school" kids come to services in groups so perhaps they stand out. They attend just about every service they are invited to in support of their classmates. They understand the importance of being there. Hello friends of Rabbi Jason. Thanks for your interest in the lessons learned by Mitzvah Age teens! What to wear and what NOT to wear. Girls especially, you stand up, you sit down...like 50 times in 2 hours during the service. Your skirt should be at a length that it does not ride up and down with you. Wear something comfortable that rests below the knee... that you won't be tugging at all morning. All the lessons learned are important..and there are many! We mask them all in a fun setting, as we do in our long standing 6th grade Joe Cornell Dance Program. Our hope and goal has always been to prepare our children for their lives well beyond the 7th grade bar/bat mitzvah circuit and social scene. This is definitely one of those items that qualifies as "Why didn't I think of this?" I'm going to share this with my B'nai Mitzvah class and parents this coming Sunday during our monthly breakfast--can't wait to learn their reaction.